CD, 1st edit release comes in a cardboard slipcase -sealed-. Great beats for the small purse! Volume 3 of the successful sampler series to the popular music magazine from Out Of Line is a brand new compilation of the most important EBM-, Electro-, Synth-Pop-, Alternative-Dance and Industrial-Club-tracks 2012. For the price of a CD single, the listener receives a silver disc packed to the brim with the latest hits from the most popular and successful acts of the international scene (including Blutengel, Hocico, Agonoize, Kirlian Camera and many more), as well as the most promising newcomers (e. g. PAKT, Auto-Auto, CHROM, Alpha Point or Forgotten Sunrise). 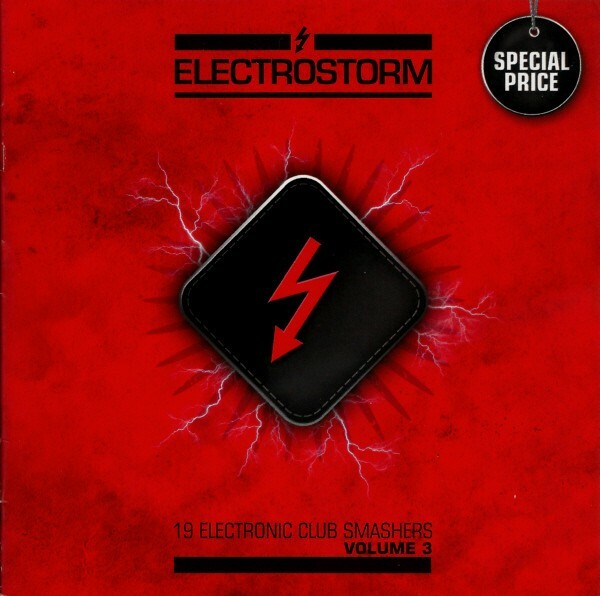 Electrostorm Vol. 3 "is the perfect travel entertainment, alternative to boring radio programs, party or club mix and starting point for incredible new discoveries. predicate: obligatory purchase! Customer evaluation for "ELECTROSTORM VOL.3 1st CD V/A 2012"